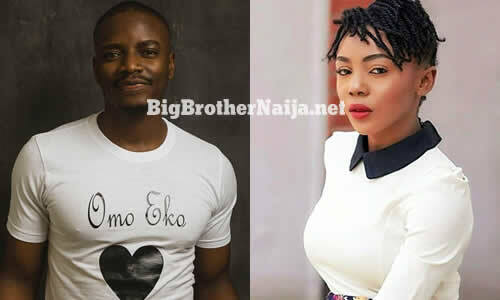 Former Big Brother Naija 2018 housemate, Lolu whose full name is “Omololù Adetokunbo” has revealed that Cee-C cannot go for 10 minutes without talking about Tobi in the house. This comes after Tobi has been accused on several occasions for gossiping about his fellow housemates especially his former Big Brother Naija lover Cee-C, with whose they’ve had misunderstandings for a number of weeks now. Recall Cee-C that during a conversation this week, Cee-C told Alex that she never speaks about Tobi to anyone. However Lolu has now come out to reveal what might be the truth given that he’s been inside the Big Brother Naija house for 11 weeks so we assume that he knows what he’s talking about. Lolu revealed all this during an interview with Pulse TV, “Cee-C cannot go 10 minutes without referring to anything that concerns Tobi, even if the question is, Hi I’m at Pulse TV, she has a way to get Pulse TV to Tobi and Tobi to Pulse TV.” Lolu said. Remember that this week another former housemate, Anto also said that it’s true Tobi is a gossip [Read more about that Here]. So who do we believe? ?